What is a conceptual framework? How do you prepare one? This article defines the meaning of conceptual framework and lists the steps on how to prepare it. A simplified example is added to strengthen the reader’s understanding. In the course of preparing your research paper as one of the requirements for your course as an undergraduate or graduate student, you will need to write the conceptual framework of your study. The conceptual framework steers the whole research activity. The conceptual framework serves as a “map” or “rudder” that will guide you towards realizing the objectives or intent of your study. What then is a conceptual framework in the context of empirical research? The next section defines and explains the term. A conceptual framework represents the researcher’s synthesis of literature on how to explain a phenomenon. It maps out the actions required in the course of the study given his previous knowledge of other researchers’ point of view and his observations on the subject of research. In other words, the conceptual framework is the researcher’s understanding of how the particular variables in his study connect with each other. Thus, it identifies the variables required in the research investigation. It is the researcher’s “map” in pursuing the investigation. As McGaghie et al. (2001) put it: The conceptual framework “sets the stage” for the presentation of the particular research question that drives the investigation being reported based on the problem statement. The problem statement of a thesis presents the context and the issues that caused the researcher to conduct the study. The conceptual framework lies within a much broader framework called theoretical framework. The latter draws support from time-tested theories that embody the findings of many researchers on why and how a particular phenomenon occurs. Choose your topic. Decide on what will be your research topic. The topic should be within your field of specialization. Do a literature review. Review relevant and updated research on the theme that you decide to work on after scrutiny of the issue at hand. Preferably use peer-reviewed and well-known scientific journals as these are reliable sources of information. Isolate the important variables. Identify the specific variables described in the literature and figure out how these are related. Some abstracts contain the variables and the salient findings thus may serve the purpose. If these are not available, find the research paper’s summary. If the variables are not explicit in the summary, get back to the methodology or the results and discussion section and quickly identify the variables of the study and the significant findings. Read the TSPU Technique on how to skim efficiently articles and get to the important points without much fuss. Generate the conceptual framework. Build your conceptual framework using your mix of the variables from the scientific articles you have read. Your problem statement serves as a reference in constructing the conceptual framework. In effect, your study will attempt to answer a question that other researchers have not explained yet. Your research should address a knowledge gap. Statement number 5 introduced in an earlier post titled How to Write a Thesis Statement will serve as the basis of the illustrated conceptual framework in the following examples. Thesis statement: Chronic exposure to blue light from LED screens (of computer monitors and television) deplete melatonin levels thus reduce the number of sleeping hours among middle-aged adults. The study claims that blue light from the light emitting diodes (LED) inhibit the production of melatonin, a hormone that regulates sleep and wake cycles. Those affected experience insomnia; they sleep less than required (usually less than six hours), and this happens when they spend too much time working on their laptops or viewing the television at night. Fig. 1 The research paradigm illustrating the researcher’s conceptual framework. Notice that the variables of the study are explicit in the paradigm presented in Figure 1. 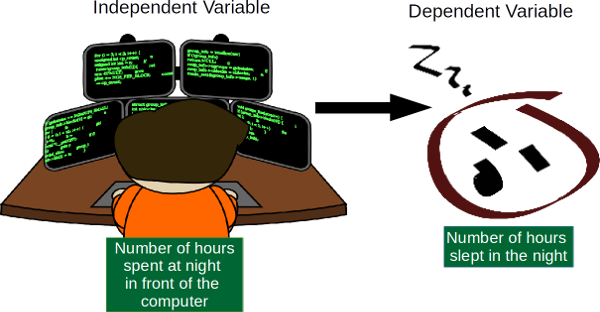 In the illustration, the two variables are 1) number of hours devoted in front of the computer, and 2) number of hours slept at night. The former is the independent variable while the latter is the dependent variable. Both of these variables are easy to measure. It is just counting the number of hours spent in front of the computer and the number of hours slept by the subjects of the study. Assuming that other things are constant during the performance of the study, it will be possible to relate these two variables and confirm that indeed, blue light emanated from computer screens can affect one’s sleeping patterns. (Please read the article titled “Do you know that the computer can disturb your sleeping patterns?” to find out more about this phenomenon) A correlation analysis will show whether the relationship is significant or not. Due to the popularity of this article, I wrote an e-Book designed to suit the needs of beginning researchers. 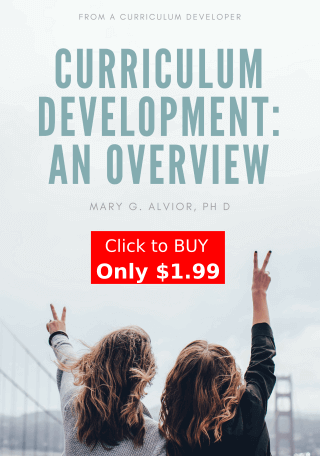 This e-Book answers the many questions and comments regarding the preparation of the conceptual framework. I provide five practical examples based on existing literature to demonstrate the procedure. So, do you want a more detailed explanation with five practical, real-life examples? Get the 52-page e-Book NOW! Once you have made observations, conferred with experts, discussed issues and concerns with friends and read a great deal of literature on your chosen research topic, you should be ready to write your thesis statement. But do you already understand well enough the meaning of a thesis statement? Or are you one of those who find these two words difficult to comprehend? If the thesis statement concept is quite vague to you, then this should be defined clearly first to foster understanding. Once this is done, then you can proceed to the process of writing those statements. Thus, this article will define thesis statement then provide you with detailed tips on how to write one. Examples are also given. A thesis statement is essentially a synthesis of what you have read and observed regarding the phenomenon that you are trying to explain. It is a statement that serves as your anchor in advancing your argument about say, the causality of things. Among other things, the thesis statement serves as the focus of your discussion. The statement that you make is not just a random position but a well-thought one, based on objective judgment and empirical evidence. Empirical means verifiable by observation or experience. It is your “educated” point of view. It is your proposed explanation of the phenomenon after a critical examination of evidence at hand. Are there convincing evidences that can support your contention? Based on the definition given above, it is therefore necessary that you read a great deal of literature to understand how other people viewed, explored, tested and verified the phenomenon that you are trying to understand. Reading a lot not only broadens your horizon but also helps you pinpoint exactly the problem areas you need to address or look into, in the process, narrowing down your research topic. If someone wrote a review of literature on the subject, then that’s the ideal starting point. A good thesis statement arises from how well you have familiarized yourself about the research topic. You should aim towards becoming an authority in the research area you have decided to focus on. Before you present your thesis statement, you should describe first the setting or situation which served as basis or foundation of your statement. This is called contextualization. You may refer to the article How to Write a Good Thesis Introduction on details on how to do this. You should be able to present your thesis statement at the end of the first paragraph of your exposition. State your point of view in a sentence or a few sentences. In the ensuing paragraphs, provide examples and existing evidences to support your argument. Your research paper will supply the needed method or methodology to test your point of view or thesis. 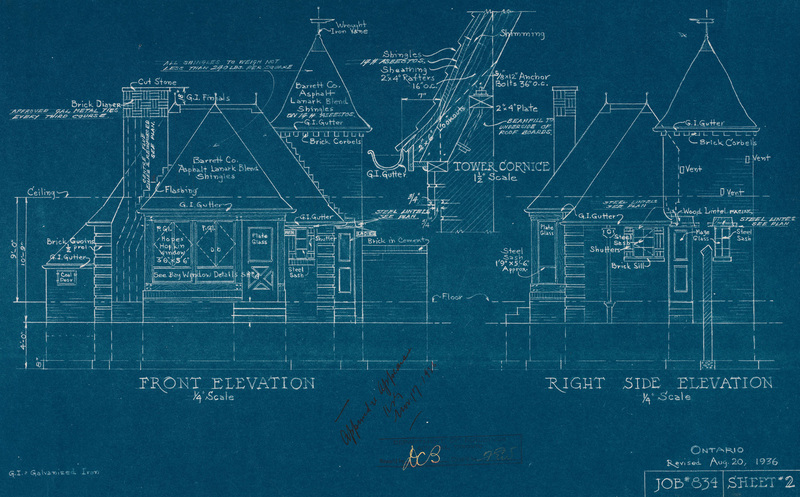 Your conceptual framework will serve as your map in conducting the investigation. The following are examples of thesis statement in different fields of specialization. Overfishing continues to occur due to a generally poor understanding among fishers on the link between fishing intensity and the reproductive capacity of target fishes. Adolescents and young adults devoting at least six hours a day in front of their computer screen become obese in their adult years. Urban dwellers are better off using conventional over-the-counter drugs than herbal remedies due to problems of accessibility. Employees walking at least 30 minutes a day are able to accomplish their tasks on time compared to their sedentary colleagues. Chronic exposure to blue light from LED screens (of computer monitors and television) deplete melatonin levels thus reduce the number of sleeping hours among middle aged adults. Notice in the above examples that the specific variables of the study are described. This defines the scope of the study and makes analysis easy, focused, and doable. Further, the thesis statement is not carved in stone. While more information is gathered along the way, the thesis statement may be revised or rewritten for better treatise of the subject. This is where your thesis adviser’s suggestions, assuming he or she has a better grasp of the subject, come in handy. Why is there a need to have a clear-cut research goal? Why is a goal important and how can it influence the research process? This article provides answers to these questions. Have you found a research topic worthy of investigation? What studies have been done so far about it? What questions have not been answered by those studies? You will be facing a very tedious task of doing a lot of unnecessary things, or find that your research results are unusable unless the research goal is well-defined. All efforts boil down to a particular purpose, i.e., towards fulfilling a desired effect. A clear picture of your research goal will help you steer your research work towards satisfactory completion. Once the research goal is clear enough, the rest of the things you need to do will fall into place. Having a clear goal in mind, you can work backwards and design your study with greater confidence. 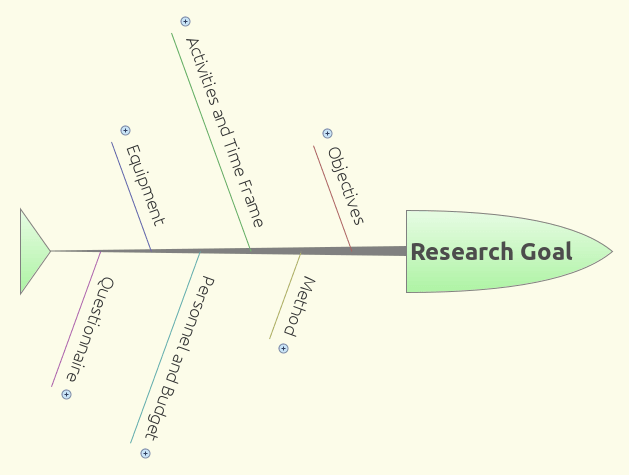 The following fish bone diagram created using X-Mind, a mind mapping software, shows how the goal relates to the other components of the research process. Fish bone diagram to realize a research goal. The above diagram shows that to arrive at your research goal, you should list down a set of specific objectives to fully realize it. You also need to write specific research questions to reach that goal. Here is an example of a research goal and its set of objectives. Second, to fulfill the objectives, appropriate research methods should be employed. There should be a one-to-one correspondence between objectives and method. For objective 1, method one will have to be employed; for objective 2, method two will be employed; for objective 3, method three will be employed, and so on, and so forth. What should I do to reach objective one (two, three, …)? What things do I need to meet objective one (two, three, …)? Third, designing the method entails defining the specific activities to be done and the time-frame to perform those activities. For example, a focus group discussion will require the participation of different sectors in the village. Thus, this will need coordination with the local leaders, identifying the participants of the discussion, looking for a conducive place to hold a meeting, preparing refreshments, and so on. How long will all these preparations take? A GANTT chart will be helpful to achieve this end. Will your study require travel? Who will travel and how frequent will this be? Do you need to conduct meetings? Who will be involved in the meetings? Will you be getting the response of a significant number of people in the study area? How long will each of the activities take? Fourth, you will need to identify those people who will help you do those activities. Applying the power of delegation is a must so you will be able to finish your research project within a reasonable time. You cannot do all the interviewing yourself especially if your random sampling estimate for the population requires at least 200 respondents. Also, you will need to find out how much all your transactions will cost. Finally, you will have to identify the specific equipment or materials required to carry out your field work. Do you need a camera, recorder, measuring scale, LED projector, among others. You might be tempted to request a lot of things for your research project especially if you have a generous funding source. But it’s good practice to purchase only those which you must really use. Your sponsoring funding agency will truly appreciate your management of scarce resources. What is a Good Research Problem? Are you still unsure what thesis topic to pursue in the course of honing your skills in research? Or maybe you have already one but you are in doubt if it is a good research problem at all? Read on to find out if you’re on the right track. 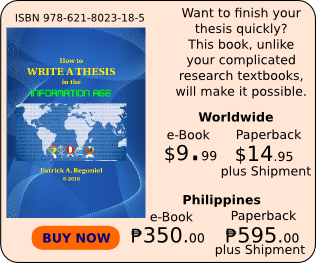 One of the difficulties that graduating undergraduate and graduate students encounter in the course of preparing their thesis involve the proper selection of their research problem. If you are one of them, how should you go about it? How will you know that the research problem is good enough for you to spend your time, money, and effort? Are there available methods to carry it out? Do you have the resources to pursue it? Take a look and see if you have these things at your disposal. If not, then, you are not yet ready to do anything at all. In doing any kind of research, you need to use a standardized method so that other researchers can confirm your findings or you are able to compare your results with someone who pursued the same topic as yours.What methods have been used so far to allow the resolution of the research problem? This requires you to browse the literature and look for appropriate methods on the topic at hand. Reviewing the literature will also help you keep up with current topics, identify which ones need more information or lack data for better understanding of a given phenomenon. Reviewing the literature doesn’t mean reading one or two scientific papers but several, or a lot, so that you are able to synthesize or point out what has been missed, inconsistent findings, or different conclusions between authors. This just means that studies on that topic has not yet matured and that further studies need to be conducted to resolve pertinent issues. Resources refer to things such as available time to complete the research, the amount of money you will need to do the activities associated with your research, your capacity as a researcher, availability of equipment needed for data collection and analysis, among others. Attending conferences and talking with experts on a current issue can also guide you in your thinking. Is there local interest to pursue the research issue? If there is, then you can take off from where others have left and discover new relationships between variables. Once you find a good research problem where you are able to state it clearly and well, you can consider half of your work done. You are well on your way towards becoming an accomplished researcher. Perhaps one of the most difficult situations a graduate student encounters when writing parts of their research is when they are not inspired at all. How can one overcome this difficulty? Here are five ways to generate ideas even when you are not inspired. Ever faced a blank wall, feeling uninspired to write something at all and finish your thesis or dissertation? This feeling is normal; everybody goes through this stage of their study life in the graduate school. Here are five tips to keep you going in your quest to finish your thesis. 1. Take a break in a relaxing atmosphere like a beach or a place away from distractions. Relaxing in a beach with some notes with you can help you jot down ideas as you clear your mind of your cares at home. There may be cares at home or work that keeps you from writing. Being by yourself amidst a peaceful atmosphere help unclutter your mind and let ideas come in. Write anything that comes to mind. 2. Review your goals in life. What do you really want out of your life? Sometimes, the lack of inspiration reflects a lack of direction. Remember why you want to finish your research paper. What will you get out of it? Is it something that will help you reach your goals in life? By asking yourself these questions, your mind will try to justify the need for action. It will force your mind to think and generate ideas to realize your goals. If the goal is quite clear, ideas will converge for its achievement. 3. Outline your tasks and do these tasks incrementally. Make sure you outline your tasks and break them down into doable bits of action. You can use a mind map to follow on your progress. If you are just starting your research proposal, you can use this mind map to help you submit your research paper on time. Do what you kept hanging for a long time. Do you need to fix something at home but have postponed it hoping you will find the ‘right time’ to do it? The time is now. This may be one of the needed chores that keeps you from thinking when you need to. Unfulfilled tasks hinder creativity. The mind must be free to harness its creativity. While doing the chores you need to do, there’s a great possibility that something might crop up in your mind. So keep your notes within grasping distance for a quick jot. Take a pen or pencil and a sheet of blank paper. If you prefer, open your laptop and use an uncluttered word processor to start writing anything that comes to mind. One of these excellent writing tools that can help you focus on your writing is FocusWriter, a distraction-free word processor. Write freely, close your eyes and let your mind flow. After a while, inspired messages will offer themselves to get you going. Plan out and finish your research proposal in no time using a mind map. Learn how to prepare it by following the steps described in this article. The examples generated by a mind mapping tool define each step. Mind mapping is a great tool to help you come up with your research proposal. The mind map will guide you through the process of research proposal preparation and even the whole study with less effort as you become more systematic in your approach. It will help you plan out in detail those things that you want done within a specified period and at the same time, monitor your progress. How does mind mapping work? To those who are not familiar with this excellent tool that has many applications, the following example is given to show how it works. The mind map example was generated using a free mind mapping software called XMind. You may download this free tool for your specific operating system in xmind.net. The free mind mapping software works in Linux, Windows and Mac. The XMindPro/Plus has more features but you can make do with the free one to familiarize yourself on how a mind mapping software works. Let’s say you already have finished most of the required subjects in your chosen course and is now faced with the task of preparing a research proposal. You can come up with your mind map by following the three steps outlined below. You may do this without XMind using a clean sheet of paper, marking pen, and a set of colored pencils. Step 1. Identify your main goal. Since you intend to prepare your research proposal, your goal will be “Prepare Research Proposal.” Type in XMind as the central idea or write in bold strokes at the center of the paper. Step 2. Figure out what major activities you should do to prepare the research proposal. You may write the introduction later when your topic becomes familiar to you. You may add more items in the list such as a section on the expected contents of your results and discussion section, bibliography, among others. Link each major activity to the central idea using a line, preferably a curved one. Allocate enough space between these major activities to make way for the more detailed activities. XMind does this automatically when you add a subtopic to the main idea. Step 3. Specify those things that you will actually do. Under each of the major activities, specify those things that you will actually do. These should be action statements. Link these statements with lines to the corresponding major activities. In XMind, just add the specific activities as subtopics. Following the steps above, the corresponding examples for each step were arrived at using the mind mapping software. Below is the mind map output that aided the preparation of the given examples (click the figure to enlarge). You can add more or change items in the mind map as well as define a time frame for each of the activities that you have identified. In so doing, you will be able to make a rough estimate how long you should be able to prepare your research proposal. If you have a fixed period within which you have to submit your draft proposal, you can allocate specific time periods for the accomplishment of each activity. Thus, you can submit your proposal on time.